Shares in the publisher of the Daily Record and Sunday Mail newspapers rose 32 per cent yesterday after the publisher said its acquisition of Guardian Media Group’s regional operations – including the Manchester Evening News – was already paying off. According to half-year results, pre-tax profits for the first half of this year (adjusted to take into account were up to 50.4 million – compared to £31.3 million for the 26 weeks up to the middle of last year. And as Trinity Mirror’s share price soared, its chief executive, Sly Bailey, was reported dismissing any threat to the Daily Mirror circulation following the Daily Star cutting its cover price, at the start of the month to 10p in England (it still sells at 20p in Scotland). Bailey is quoted in mediaguardian, saying: “The fact is that the Star is only worth 10p.” She is further reported saying the Daily Mirror, which is priced at 45p (the Daily Record is 40p), was not seen as a competitor to the Daily Star by consumers as it was considered a much higher-quality read. Trinity Mirror recorded a return to advertising growth across its national titles in the six months to the fourth of this month, with advertising revenue up 2.2 per cent year-on-year, although across its regional titles (the Daily Record and Sunday Mail are identified as 'national titles') slid 7.2 per cent. The company said that following the acquisition of GMG Regional Media, which includes the Manchester Evening News, in March, that it would “continue to seek further consolidation opportunities where there is a good commercial and strategic fit along with a strong financial case”. 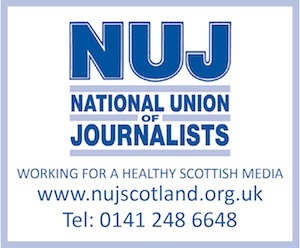 “One of the main areas from which cuts are being wrung currently is implementing the same newsroom modernisation at Trinity Mirror’s national papers (The Mirror, Sunday Mirror, People, Daily Record, Sunday Mail) that has already happened at some regionals, starting with Media Wales. “The implementation of ContentWatch production software, planned by September, is proving controversial, leading to 200 redundancies – mainly sub-editors, including 60 casuals.